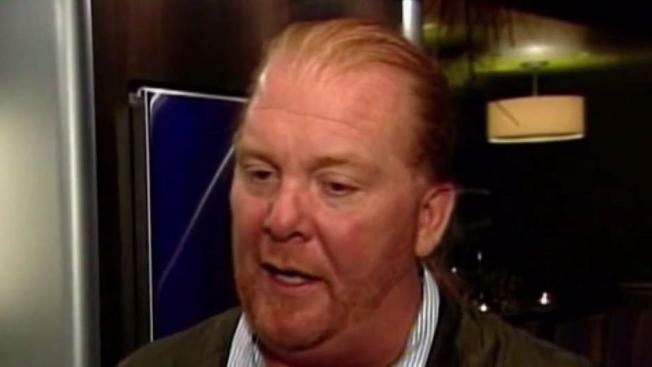 The NYPD is investigating allegations of sexual misconduct leveled against Mario Batali. Rana Novini reports. Celebrity chef Mario Batali issued a new statement Monday in response to yet another accusation of sexual misconduct, the fifth in about six months, telling NBC News he "vehemently" denies "any allegations of sexual assault." Batali stepped down from daily operations at his restaurant empire and cooking show "The Chew" in December after four women accused him of inappropriate touching over a period of 20 years. He has apologized for those encounters; a fifth accusation came Sunday night in a broadcast TV interview. "I am not attempting a professional comeback," he added in his statement Monday. "My only focus is finding a personal path forward where I can continue in my charitable endeavors - helping the underprivileged and those in need." The NYPD confirmed it was looking into several allegations against Batali following a "60 Minutes" broadcast Sunday night in which an unnamed woman accused Batali of drugging and sexually assaulting her in 2005. She said she remembered joining him for a glass of wine at a Manhattan restaurant, then waking up on the floor feeling drugged and attacked. She said she talked to the police but never filed a report.